is now developing as a new investment hub in the country. Back in 1990s and in 2000s Bangalore was known for its moderate climate, defense and engineering mechanism and a paradise for the retirees’ also. Over the last 12-15 years outsourcing and BPOs became household words of the city. The city became a brand and a beautiful blend for IT and an infusion destination for business and property. The IT and the BPO sector created a new knowledge industry, it also resulted a young, affluent, easy going society, which was leisure focused. In 2000 the southern city saw a wave of businessmen who have idea and online presence to build or sell properties attracted the entrepreneurs. The city also emerged as a launch market for many retail and lifestyle concepts and many international brands, who all wanted to make a market research from a elite audience without large investments. Bangalore is not land-locked and hence the city has every potential to grow consistently. The urban planning was not able to keep the pace tough ring roads and few flyovers were created. Each expansion created townships which are self sufficient to grow as commercial and residential spaces. The workforce aims to create second homes on the outskirts of the city, the new airport opened in 2008, 45 km from the city center has also contributed in the expansion. The driving infusion has been the historical link with the NRI community. In the 1990s the developers started converting the small townships to high-end communities. These communities provide a way for the NRIs to keep rooted. The expat workers live in India with in a slice of suburban California at their door step. The Bangalore accounts 25 pc of the state legislature according to a recent survey in electoral list. The investment mettle for Bangalore has been proven in the 2008-2012 recession period. The city started witnessing iconic properties. It only remains for growth plans to get a bit more planned and include retail spaces and social infra as part of the whole, in order to create a long range vision for the city to be truly India’s most livable one. New Delhi: The Supreme Court of India agreed to hear the Sahara Group’s petition to seek amendments in its verdict restricting Sahara Chief Subrata Roy from leaving the country till the Group submits the property deeds to the market regulator Sebi. A Bench of Judges, before whom the case was taken by the Sahara counsel, said to hear the plea in the chamber. The Sahara had appeared before the apex court on October 29 requesting that there was an error in its October 28 judgment, restraining the Sahara Chief from leaving the country. Earlier the bench had declined to pass any interim pass for allowing the Sahara Chief to go abroad before his Group files a review plea seeking to modify the earlier order. Senior Counsel CA Sundaram, appearing for the Group, had submitted the plea that the Group is not seeking to review the order but only showing the difference in the order which was uploaded on the apex court website and the order passed in the top court earlier. Making it clear that there is no escape from depositing the investors’ money with the market regulator; the Supreme Court of India had asked the Sahara Group to give valuation reports of properties to Sebi. ₹ 40 crore through its PE firms for its two affordable housing projects. The Mumbai-based PE firm Avenue Partners Real Estate Funds will infuse in the Vastubodh’s affordable housing projects AnandGram, spread over 25 acres and the rest amount will be paid in an other project yet to be announced. Around₹ 20 crore of the total investment will be infused in AnandGram project. The PE firm will get the 80pc of equity holding in the project. Though the Avenue Ventures has 80 pc stakes in the holding the Vastubodh Projects is sure to buy them off form the PE firm in next 36 months. This is the second infusion by a PE in an affordable project. Earlier in 2011, PE player Carlyle had declared an investment of $26 mn in Value and Budget Housing Corporation. Vastubodh, aims on affordable housing units, has housing projects in Pune, Kolhapur and Baramati, the firm is also thinking to enter Mumbai market very soon. The firm in a JV has acquired 1.1 million square feet of land at Boisar and invested about Rs 10 crore for the same. Vastubodh Projects come under two brands AnandGram for lower income and UrbanGram for middle income group customers. AnandGram will offer units in the range of Rs 500,000 to Rs 1,500,000 and UrbanGram home will be available in the range of Rs 15 lakh to ₹ 30 lakh. The PE Avenue Ventures Partners was found in 2012, and had raise Rs 250 crore to invest in residential projects in Pune, Bangalore and Chennai. Mumbai: DLF Ltd and Oberoi Realty Ltd, two of countries top real estate firms reported a decline in net profit in the second quarter. The results showed a warm property market, the result of slow down and decline in home buyers and corporate interest. The countries larges real estate major DLF reported a 27.8 pc surge in net to Rs 100 crore, while the net sale lowered 4.1 pc compared to the previous year of Rs 2,039.54 crore. Profits of DLF got jolt due to high interest rates and low home sales. DLF burdened by Rs 20,369 cr of debt has been exiting the business and never consider the real estate arm to cut the debt. The firm had sold two non-core assets worth Rs 147 cr to cut down the debt. It also divested a huge stake in a subsidiary and sale off its wind turbines in Rajasthan for Rs 67.44 cr. It had also agreed to sell off its 75 pc stake in DLF life insurance to Dewan Housing Ltd to pay off its debts. On the other hand Oberoi Realty, posted 48 pc drop in its net for the second quarter due to weak sales. The profit of the Mumbai-based realty firm declined to Rs 64 cr from Rs 124.4 cr compared to last year. The firm deals with residential, commercial and hospitality segments. The stand-alone profit rose to 95 pc to reach Rs 114 crore. The Mumbai market is experiencing some slowness in the under construction projects there is a low demand for the ready made projects. 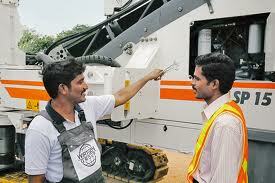 Bangalore-based Puravankara Projects Ltd also reported an 8 pc drop in net profit for the second quarter. While profit fell to Rs.46 crore from Rs.50 crore a year earlier, income from operations increased 9 pc to Rs.298 crore. New Delhi: The Dalmia Group’s private equity firm Landmark has left a real estate project in NCR after getting three times of its investment of Rs 111.26 cr in six years. It has quieted the Wave Group’s project in Ghaziabad spread over 4,500 acres at Rs 350 crore. The Landmark has earned huge 3.16 times in the slow down where the other PE investors are struggling to earn their investment back. The first phase of the project will have 20,000 units, out of which 4,000 units are ready to be delivered. The housing unit will have a total of 75,000 units. The firm infused in the township in 2007 in the form of equity and it was bought back by the Wave Group. Landmark had also exited two more investments earlier this year. The infusion in the ATS group, given 2.3 times f the investment, while the other Shipra’s housing project earn 2.10 times from its initial project. Landmark has also invested with developers such as Ansals, Wave, Parsvnath, Forum, Pioneer, ATS and Kumar Builders. It has also invested in 25 projects as equity or a quasi-equity investor. The developers are finding it hard to raise the sales in a slow market. Due to the slowdown in the realty market, the inventory levels have also risen. 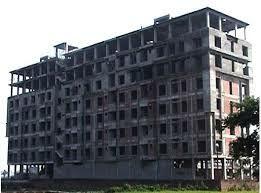 Bhiwandi, a Tier II city in Rajasthan, is the new hot property of the investors and the end users. The small desert town is gearing up to tackle the huge amount of affordable housing projects, coming from the employed work force near by. This small desert city, one of the industrial destinations, has successfully converted itself to an affordable-housing destination in the region. The area will be completely changed in next three to four years. It can be seen as the next boom town of the NCR. The small city is playing a pivotal role in the development of Rajasthan. It has 2,600 various industries including some MNCs, manufacturing various products. The city has witnessed a pollution growth of 1,40,990 from 33,990. The main reason being the industrial units starting and now it is converting to a large residential development in last few years. The residential property in the desert city is available in Rs 2,600-3,300 per sq ft. As the township is on the NH-8, it helped the city to grow same as Gurgaon developed due to the National Highway. The major realty players here are Ashiyana Housing, Avlon, VBHC, Kajaria, Omaxe, etc. Ashiyana Housing has already delivered more than six projects, like, Ashiyana Aangan, Ashiyana Rangoli, Ashiyana Utsav, and much more. The fast infra development and the startigic location of the city have attracted many industries, creating a lot of employment opportunities and the predictable housing demands. The new Dharuhera-Bhiwadi by-pass road has made communication far easier from Delhi, Gurgaon, Jaipur and other cities. A new bullet train has been planned from Delhi to Neemrana which will cover the distance in 45 mins. Anew airport is also proposed in Neemrana to develop the vicinity. The 1,483km-long Delhi-Mumbai Industrial Corridor, and the relevant National Investment and Manufacturing Zone along it, has given a fresh push to the small town. A large-scale population in Bhiwadi travels to work at several industrial units and corporate offices in the region, including Gurgaon and Manesar. Bangalore: Accelerating to implement the Akrama-Sakrama proposal, regularization of illegal buildings, the urban development department (UDD) forwarded the draft norms it had framed to the law department for its suggestion. With the Cabinet’s nod and approval from the Governor HR Bharwdwaj, the Karnataka Government on October 19 issued a law to the Karnataka Town and Country Planning and Certain Other Laws called Akrama-Sakrama scheme. In the regulation was framed by then BJP Government in 2009 to extend the cut-off date for regularization of illegal residential and commercial buildings in urban areas. The ordinance gives cut-off sate till 2013 end, while the cut-off period was December 2009 in the earlier draft. The draft rules are framed and will be sent to the law department before implementing it, said an official. Various fee structures like regularization of site for both converted and non-converted, fee set for setback violations for residential and non-residential use, for construction in non-converted agriculture lands and for constructions without approval of the authorities. Once the law department gives the green signal, notification can be issued and people can start applying for regularization. Bangalore: The Bangalore residential market has unsold stock of around 50,200 units in second quarter against 46,900 in the first quarter of the year. As per the absorption matters, around 6,550 units in Q2 and 6,690 units in Q1 has been taken. Almost 21 ne residential projects were launched in Bangalore in the second quarter, offering less units comparing to the first quarter. From 21 projects eight projects were completely sold out in various sub-markets. 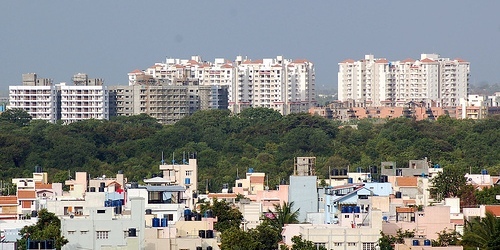 In North Bangalore, the demand for high-rise residential units remains high. 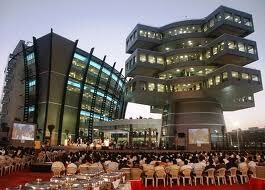 The area’s realty sector developed after the Government launch of the new Bangalore International Airport. Northern part of the city is assured to be next economic center and the vicinity to the International Airport and planned infra have boosted the development of the area. Demand for high-end residential constructions is very low in the southern part of Bangalore. The unit requirement in this area raised after Electronic City established itself as an IT Hub in this micro-market. But it did not woo the premium developers because of poor urban and social infrastructure. In East Bangalore, Whitefield has developed into a self-sustaining area which being an IT destination, this area has good social infrastructure and developing physical infrastructure. 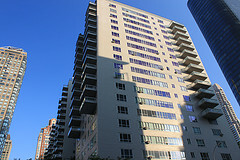 The demand for high-rise apartments remains same. The Western Bangalore micro-market has not been successful in attracting many real estate developers but it has much industrial developments to count on. New Delhi: The Sahara Group moved to the Supreme Court of India claiming there was a blunder in its order to restrain Sahara Chief Subrata Roy form leaving the country till the Group hands over the property deed to Sebi. A senior advocate CA Sundaram, appearing for Sahara Group, said that if the Sahara is not submitting the deeds then only Subrata Roy would be restrained from leaving the country submitting the apex court report. Appearing before the Bench of Justices KS Radhakrishnan and AK Sikri, the advocate said Sahara Chief going abroad till the paper are not supplied is different from what the Bench had ordered last time. After hearing Sundaram’s argument, Justice Sikri said after consulting his judge Justice JS Khehar, who was part of the bench which passed the order and will consider its plea. The apex court had directed the Sahara Group to hand over the title deeds worth Rs 20,000 cr to Sebi, warning that if the group fails to submit Subrata Roy cannot leave the country. The order was passed by Justices Radhakrishnan and Khehar. 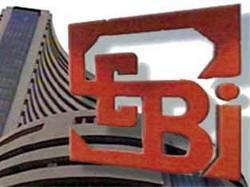 New Delhi: The market regulator Sebi is trying to bend its norms for tax reduction to attract the investors into Real Estate Investment Trust (REITs). The market watchdog fells the trust will go a long way in helping the cash ridden companies to raise funds. To make REITs to be successful, Sebi will ask the tax officials to consider some incentives for the trust. After five prolong years of issuing the first draft norms for REITs, on October 10 the Sebi moved to issue the norms for the trust. The trust is expected to enrich the cash-strapped realty sector with capital infusion. 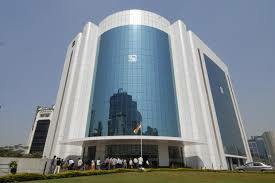 In the regulation and norms formed by Sebi, it has formed a framework similar to IPOs. The regulator has various norms including minimum offer size, public float and sixe asset to come under the REITs. The trusts are proposed to be allowed to list on exchanges through IPOs and through offers and raise funds. But in RIETs they are not allowed to float any offers. As per rules, only such units would be allowed that have at least 90 pc investments in completed revenue generating projects. The REIT may raise funds from any investors, resident or foreign though initially, till the market develops. It also proposed that the units of REITs may be offered only to HNIs /institution. NEW DELHI: Average housing price in major cities in India climbed up by a low 0.89 pc during the first quarter of the fiscal. Although, the property rates were nearly 14-15 pc higher than a year ago levels. The quarter growth in the RBI index at pan India level was lower at 0.89 pc in first quarter as compared to 2046 pc in the previous quarter. The prices increase seen in Lucknow the most followed by Ahmedabad and Kochi. In Lucknow the residential projects rose by 4.70 pc while in Ahmedabad it was recorded up by 4.50 and in Kochi it was up by 2.30 pc respectively. The all-India average price rose by 13.80 pc in April-June period on year-on-year basis. The index is a weighted average of city indices, weights based on population proportion. The base year is 2010-11. Kochi and Lucknow saw the highest y-o-y increases of 28.55 pc and 27.56 pc, respectively. Prices in Delhi and Mumbai were up by 21.15 pc and 8.38 pc respectively. New Delhi: The Godrej properties shown a meager five pc surge in its net profit at Rs 34.25 crore in the second quarter of mainly due to higher tax expenditures. The firm, which is the realty arm of Godrej Group, had posted a net profit of Rs 32.52 cr last year in the second quarter. The total profit from operations rose by 33 pc to Rs 306.49 crore during July-September quarter compared to Rs 232.74 crore in the previous year. The Godrej Properties is currently developing residential, commercial and township projects around the country. The firm is one of the largest operating in the real estate sector in the country, having approximately 90 million square feet in 14 different cities. The Group has recently raise Rs 75 crore through rights issue. This was the third capital fund raiser activity by the Godrej Properties. The firm had also launched Initial Public Offer (IPO) in December 2009 and successfully conducted its Institutional Placement Program in 2012. New Delhi: The SC of India denied to pass any interim verdict to allow the Sahara Chief Subrata Roy to leave the country against a review petition seeking to amend the top court’s earlier order to restrict him from going abroad. A Bench of Justices KS Radhakrishnan and AK Sikri, said they cannot pass any order until a request is filed by the group to review the plea if it wants any amendment, when the matter was produced before them by the Sahara Counsel. Senior advocate CA Sundaram, submitting plea said that the group is not asking any review of the earlier but only clarifying the difference in the decision which was uploaded on the apex court website and the order passed by the top court. But the Bench was not fully satisfied with the arguments. The Sahara Group had moved to the SC claiming there is an error over restricting Roy from leaving the country if the Group is not depositing the deeds to the Sebi. The group’s counsel said if the papers are not submitted to Sebi within the stipulated time period then only Sahara Chief is restrained to leave the country. 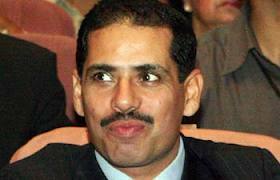 New Delhi: The Supreme Court of India refused to hear a PIL asking CBI enquiry into licenses granted to several developers, including Robert Vadra for constructing colonies in Haryana. The apex court squashed the plea targeting Vadra while there are no other names written in the petition. The act was done deliberately for cheap publicity said the top court. The Bench also asked why the plea was against a single person. Let the petitioner give the other names involved in the issue. Merely because Varda is related to political family, he cannot be called as a sinner. The Bench also quizzed advocate ML Sharma, who filed the plea, in which he also pleaded the top court to over rule a decision of the State Government. The Bench also lauded Sharma’s in various issues in recent past. Advocate Sharma’s plea was not targeting any one but only pointing towards Vadra. The petition has also sought over ruling of the order for stopping inquiry against the colony licenses issued to Skylight Hospitality Private Ltd.
New Delhi: The long running case of Sahara Group and SEBI took a twist when the Supreme Court of India asked the Sahara Group to hand over the property deeds worth Rs 20,000 to the market regulator Sebi. The apex court said the group is indulging too much in hide & seek, it can’t trust it anymore. The Court ordered the Sahara group to hand over the deeds in three weeks otherwise; Subrata Roy and other directors will not be allowed to leave the country without prior permission. 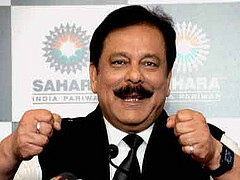 Sahara has to handover the property papers to Sebi by November 11 and the SC will take up the case on November 20. 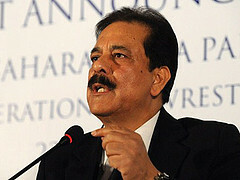 The top court had earlier asked both Sahara and Sebi to find a way out to refund Rs 19,000 crore to the investors. Earlier, two Sahara Group firms- Sahara India Real Estate Corp Ltd and Sahara India Housing Investment Corp Ltd had raised around Rs 24,000 cr through convertible debentures (OFCDs) in violation of public issue rules. OFCDs are basically company bonds that can be converted to equity shares. The Sahara group had earlier agreed to keep its immovable property as security, but Sebi questioned the value of the properties. The Sebi asked the group to sell its property and pay back the money. In August last year, the SC had asked the Group to refund Rs 24,000 cr to investors with an interest of 5 pc per annum within three months. The court was hearing petition filed by the Sebi against the Sahara housing firms, and their directors for not refunding investors’ money on schedule. New Delhi: India’s top 9 special economic zone developers including TCS, Parsvnath Infra and Navi Mumbai SEZ have asked more time from the Government for implementing their projects. The Govt will meet the developers on 8th of November to discuss their plans are to work things out. The developers are citing the global slowdown and fluctuating market conditions for the delay. 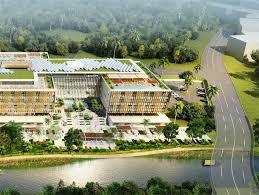 TCS, which is setting up IT zones in Kolkata has requested for more time to finish the project. 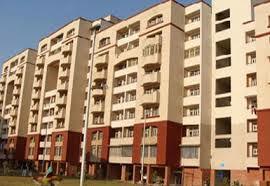 Unitech Infracon , which is setting up IT zone in Greater Noida has also requested for further extension. The developers have asked for one more year to execute their SEZs as the time periods for them are expired or on the verge of expiry. The Govt will take up two applications for setting up new zones in the country. Under the SEZ act, the units get 100 pc tax freedoms on profits for the first five years, 50 pc for the next five and another 50pc on re-investment. SEZ have lost their sheen after the slowdown which were once major investment projects. Posco-India Pvt Ltd and Lodha Dwellers have also requested additional time for project implementation from the Govt. Bhubaneswar: Certain areas in the outskirts of the Bhubaneswar, the Odisha’s capital city is fast gaining the notoriety. Places like Sundarpada, Raghunathpur, which are in famous for water logging at compounds of high rises and apartments due to unplanned construction. Specially, Raghunathpur is emerging a real estate hub with top residential developers are floating in with projects there. Most of these projects are under water due to continuous rain last week. The drainage system is very bad in the area. Basements, approach roads, and ground floors of these buildings are under water and it is yet to recede in many. Poor planning has is the main reason behind the man made floods. When the multi-storey apartments were built started no one thought to improve the drainage system if the area. The new developing residential area and its surrounding lie in a valley of farmland where rain water from Chandaka forest reserve and Nandankan’s Kanjia lake flows into. 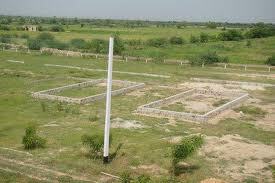 Since the agri lands were converted to residential plots rainwater is bound to entre the buildings. As Bhubaneswar is a planned city and the landscape is such that it should never face waterlogging. But the problem is the messy growth and poor implementation of norms which cause the waterlogging in the city. The developers in the area allege the drainage division and lack of monitoring by the civic body for the unplanned growth. But the BDA blamed the builders for the problem. According to them housing projects around the city suffer due to poor planning and many of them simply ignore constructing proper drainage system. New Delhi: The Indian health infrastructure will need Rs 1,62,500 crore of capital investment to provide accessible and affordable healthcare facilities during 12th Plan period. India need to comprise minimum 6,50,000 beds from 1.3 beds per 1,000 population to 1.7 beds per 1,000 people by the end of 2017. It needs almost double the infra and investment to boost the sector. The public sector hospitals need to add approximately 1,30,000 more beds. This will push the private sectors to surge 5,20,000 beds and invest Rs 1,30,000 cr in the sector over the next four years. Raising the need Rs 1,30,000 cr it will require an equity investment of Rs 39,000 cr and Rs 91,000 cr long term debt funding form a private health sector provider. The scale of creation in large amount will require a strong deed between the private and public sectors. A new healthcare infrastructure can be created by the Government through a healthcare Infrastructure fund with a preliminary investment of 15,000 cr. The Government can also introduce REITS facility in the health sector. Starting a nodal agency for health sector to speed up the growth and construction of healthcare infra can be introduced. The public-private sectors should scale up their partnership in the creation of health infra and enriching financial access for every citizen will be an added advantage in the country. Gurgaon: The property owners in Gurgaon have improved their efforts to get the state to implement an amendment on the debated property rules of the industrial area in the city. The local association slammed on the industry authority HSIIDC, demanding for a special fee for transfer of illegal plots. The law says that the authority cannot charge a lasing fee from the business persons who own these plots on a free-hold basis. The plot owners are complaining that the HSIIDC, by imposing the condition of approval of leasing has breached the Sec 11 of the Transfer of Property Act. The Property Act in the country says that once an agreement is inked on a free-hold property, there should be no permission required for leasing that property and the free-hold transaction can’t be conditional. The industry authority charges a lease fee of around Rs 600 per sq mt, provided an official approval is taken prior by the plot owner to filing the application. The association has already taken the legal route against the HSSIIDC and the case was referred by the Punjab and Haryana High court to the State Government. The association will meet the principal secretary of the state soon and will put 15 points before him which were submitted in the High Court. New Delhi: Indian real estate majors are gearing up to sell the country’s first bonds backed by the rental income form their offices and shopping malls. The new bonds will come as heels of new norms for the developers allowing them to raise money through REITs. The property and infra lender IDFC is ready to sell a minimum of Rs 3 billion in a debt security from an IT park in Noida and a SEZ in Pune. The real estate major DLF, is in discussions to raise up to Rs 10 billion in a bond backed lease rentals from two malls in later part of the year. Credit Suisse and JP Morgan are among banks who are tapping property firms and investors to put their interest in the structure. Bankers have pitched deals for IDFC and DLF and are assessing the risk of the product and waiting for the ratings. IDFC is likely to issue such bond within a month time. The bond structure is totally different from the mortgage backed security of other countries. Rather, DLF and IDFC proposed bonds would be same to call as lease-rental discounting, sold in a bond. Both the companies are considering the bond with 5-year maturity period and an option to extend the period to 7 years. The debt would carry a credit rating of the developer. DLF earns more than 20 billion rupees in rent every year and the firm has also been selling non-core assets to reduce its debt. 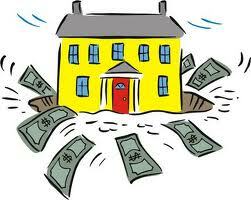 Indian developers, especially family-run, usually rely on bank loans and selling equity to fund their operations. India`s corporate bond market has conventionally lacked the depth and liquidity to serve as a major funding source. More exotic bond products, have failed to take off because of low investor craving and the Government restrictions that prevent many investors such as pension funds from buying riskier assets. New Delhi: When the slowdown is affecting the real estate market in major cities like Delhi and Mumbai, the small tier-II and tier-III cities are citing enmorous growth in the residential transations. The picture in these cities show a different real estate market. Earnings of India’s mortage lender, HDFC Bank and Asian Paints for the second quater shows the trend. The HDFC bank seen a rose of 29 pc in the personal loan section compared to last year, espically due to the demand in the small towns. Asian Paints also saw 37 pc jump in its net profit,due to the growth in tier-II and tier-III cities. The banks lending is more to the middle-income people, more in outskrits of big cities. The decorative paints business in India cropped up very well and the compaines registered double-digit volume growth. According to a survey at 9,823 units Greater Noida saw a 2.3 times jump in absorption in second quarter, compared with 4,136 units in the same period last year. But during the same period launches of new project were double compared to this year. Absorption in major cities like Mumbai fell 33 pc in teh first half, whereas Bangaloer saw a rise of 23 pc with a record number of launches. The entire Delhi-NCR region is showing plunging trend in supply, while demand is moving up. The developers fell metros are seeing less traction due to high prices in the market. Houses in tier-II and tier-III are very much affordable with large number of facilities. The tier-II and tier-III cities are totally dependent on agri products and industry. The economic slowdown hasn’t affected much to these smaller cities. The Southern part of India cities like Chennai and Banglore, are turning out to be hot destinations for the real estate lovers, with returns raise to 40-70 pc in the past three years. During the same period, the NCR region gave only 15-20 pc returns on investements, according to a survey. Both the South cities Chennai and Bangalore have beaten the NCR in the number of new launches seen in this period. The launches in NCR stood at 32,194 till September last, but in Banglore the launches were 35,400 and in Chennai the number surged to 44,500. In the high-end residental segment also the Southern cities are far more ahead in returns compared to NCR. According to experts, the NCR has been largely affected because of teh slowdown. Investors are leaving this market, which was once growing rapidly and giving huge returns. Most of teh investors are heading towards the Southern or the Esatern part of the country. Once the ecomony is back on track things will gradully imporve for teh NCR region. The main difference in these markets is that Banglore and Chennai are user-driven markets, while NCR and Mumbai are investor driven. Even the deevlopers have a better track record of delivering things on time. But in NCR if teh delivery is late the investors are happy. About 50-60 pc of buyers in the NCR rae primary investors. South has been a conservative but alert market as compared to teh NCR and Mumbai markets. 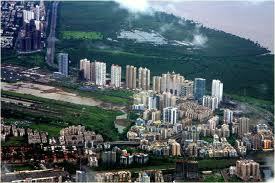 Bangalore continues to be the IT hub and attracts MNCs, so teh demand for teh first-time buyers will be always there. Mumbai: The Navi Mumbai Municipal Corporation (NMMC) opposed a petition challenging the ‘One Time Planning’ dream which seeks to make the city ultra modern with advanced infra in next two decades. The cost of the project is estimated around Rs 12,821 cr. The petition filed in the Bombay High Court, said this developmental plan was announced by a Minister only to get political mileage and such plans should be rejected. The civic body filed an affidavit before the court’s bench answering the claim that such new proposals should not be passed by the Municipal Corporation until it gets the Government approval. The civic body also said it is not necessary to take the Government approval to pass the budget for this multi-crore scheme imagined for the development of entire Navi Mumbai. The civic body further added that the plan is just a vision which is not yet implemented. A plan or proposal cannot be challenged until it is executed. The plan includes construction of new roads, repair the old ones, footpaths, social, educational and health project to raise the living standard of the area. 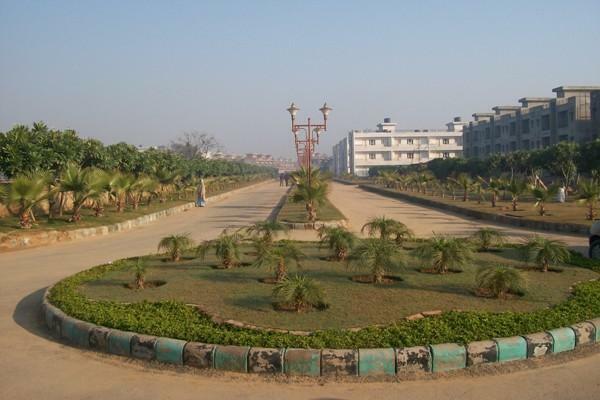 The city was planned 40years back and it need to reshape the city according to present day needs, the civic body added. The matter will be heard after the Diwali vacations. 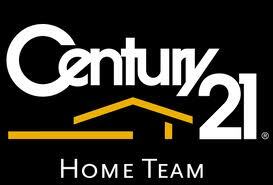 Bangalore: Century Real Estate, a Bangalore-based realty firm is set to raise Rs 400 cr to refinance its existing debts. The realty firm holds a massive 3,000 acres of land bank across the city. The realty major is in talks with many NBFCs as well as private equity funds to raise the money which is expected to be over before next month. The realty major which started its business in 1973, has been focusing on larger development and has lined up projects spread over 10 million sq ft. The firms land bank is estimated to e valued around $ 2 billion. The management has declined to say on the fund raise. Some part of the fund has been raised through NCDs. The firm relied on Reliance Capital, Kotak Realty Fund and JM financial to raise the funds. Global PE funds including Goldman Sachs and Fortress were among the investors earlier in the year. The realty firm has given an exit to the PE funds by buying back and restructuring the rest. According to industry sources, Century Real estate has term sheets around Rs 600 cr for the new refinancing and the realty major should be finalizing for around Rs 350 cr in the near future. The real estate market in the It hub has seen a rapid growth despite various problems in the residential segments. NEW DELHI: The Govt of India will soon appoint real estate experts to prepare affordable housing policy and updating the rules for approving real estate projects in 15 states in the country. The Govt is coming out with a policy where it will involve large number of real estate experts to each state and direct them to study various rules and regulations regarding building plan approvals. In the first phase The Centre will identify 15 major states for simplification. Realtors regulator body CREDAI has been demanding a single window clearance for realty projects, because the cost of construction goes up by 40-45 pc due to delay in the nod. The Government is hoping to complete the process of appointing experts in next two months. The experts’ job will be to help the states in developing affordable housing under all the laws and regulations. The Govt is also planning to develop software that will help the states in accelerating the approval process. The Govt is thinking to bring down the minimum built-area to 20,000 sq mt from the existing 50,000 sq mt for the FDI investors in the realty sector. The FDI of 100 pc investment is allowed in real estate by the Cabinet. The Centre has sanctioned two schemes which will mobilize money by the government and institutional sectors to develop 2 million houses in next four years and with assigned investment of Rs 40,000 crore. To indulge the private sector in the affordable housing unit the Govt has reframed the partnership scheme in which it would give 15 pc rebates in construction and make it avail for the poor section.